Unite members at the Homes and Communities Agency (HCA) will be on strike in protest at years of real-terms pay cuts and pay inequality. 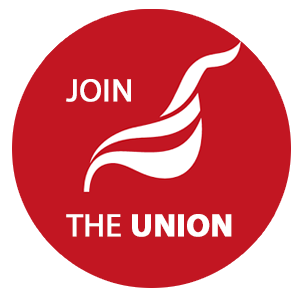 The organisation is home to the Regulator of Social Housing and Homes England brands, and Unite is the largest of three recognised trade unions. Unite reps described management’s behaviour as a disgrace. Instead of listening to member concerns, they turned up to pay meetings with no interest in resolving the dispute, and the CEO hasn’t turned up to any of the emergency pay meetings. Management consultants are on inflated fees, but the rest don’t even get pay rises covering the cost of inflation. Staff are now struggling. The HCA recently published its Gender Pay Gap report, now a legal requirement, which showed women are paid less than men at every level of the organisation but the HCA has insisted it can’t address this immediately. Members are also angry about arbitrary pay setting that takes no account of skills and experience. Please Support the Strike Action! BACS: Unite Housing Workers LE/1111 Branch, Account No: 20040626, Sort Code: 60-83-01. Ref: ‘HCA Strike’. Cheque: Payable to ‘Unite Housing Workers LE/1111 Branch’, PO Box 66701 London E11 9FB. Ref: ‘HCA Strike’. Protest messages to: Nick Walkley, Chief Executive (nick.walkley@homesengland.gov.uk), Ed Lister, Chair of the HCA Board (Edward.Lister@homesengland.gov.uk), Simon Dow, Chair of the Regulation Committee (simon.dow@rsh.gov.uk). Solidarity messages to: Suzanne Muna, Unite Representative, suz.muna.unite@gmail.com.